After a long winter, it's time to hop on City Sightseeing’s Sunset Bus again, the best way to enjoy Cape Town’s glorious sunsets. After taking its annual break over winter, the sun is finally setting later which means beautiful views and sunsets can be enjoyed again with the Sunset Bus from 22 September 2018. See the best sunset in Cape Town with the Sunset Bus. 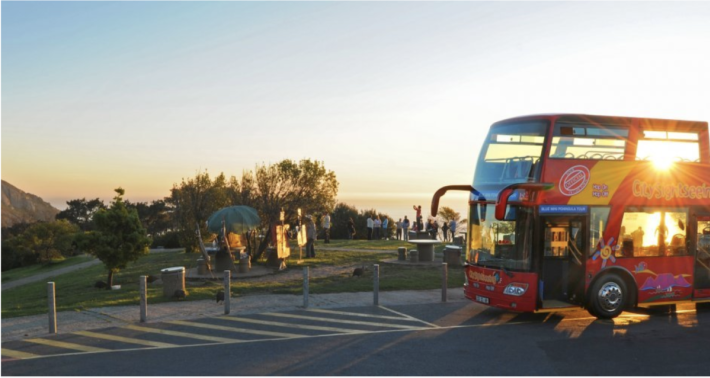 As the sun dips into the Atlantic, the bus will stop at the top of Signal Hill, its final destination, where passengers are encouraged to bring along picnics and enjoy the amazing views of the city, Lion’s Head and the Atlantic Ocean. The Sunset Bus runs every evening from stop 1 at the V&A Waterfront outside the Two Oceans Aquarium, please check timetable for departure times. Tours run for approximately three hours and passengers will not be allowed to hop off at stops. The tour culminates at Signal Hill, where passengers can enjoy their picnic baskets or snacks. It is highly recommended that you bring along a camera to capture the stunning views. 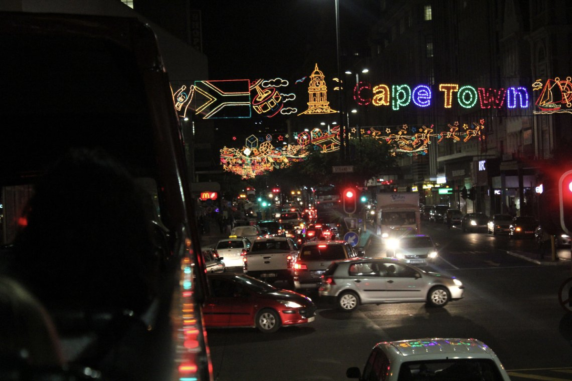 See the Adderley Street lights with our Sunset Bus. The tours will have 15 language commentaries available, including English, Afrikaans, Arabic, French, German, Dutch, Japanese, Mandarin, Portuguese, Russian, Spanish, Swedish, Turkish and Zulu. Interested in hopping on for a Sunset Tour? The Sunset Bus will run every day from 22 September 2018, except for the week of 22 December to 6 January 2019, and on 10 March 2019.